8 pm: TrulyHaGiang guide will pick you up at your hotel (in Hanoi Old Quarter) and drive to the bus station. We arrange seats for you on a quali­fied sleeping bus. Overnight on Sleeping bus.. Morning: Have a local breakfast to prepare for an adventurous motorbike tour. 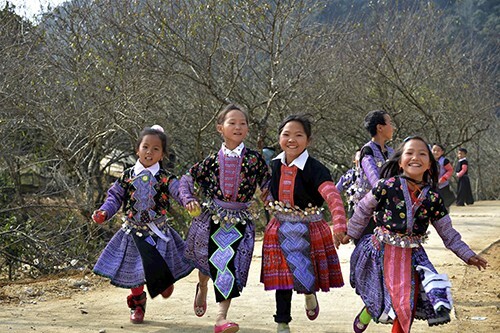 Our guide will be with you to take Road QL4C north out of Ha Giang City towards Tam Son. It’s only a few kilometres before forested limestone mountains tower over you and irresistibly-blue rivers (depending on the season) run alongside the road. After 30km of winding throughbeautiful valleys, a billboard announces your arrival to the Dong Van Karst Plateau Geo-ParkThe road begins a long, snaking ascent up Heaven’s Gate. 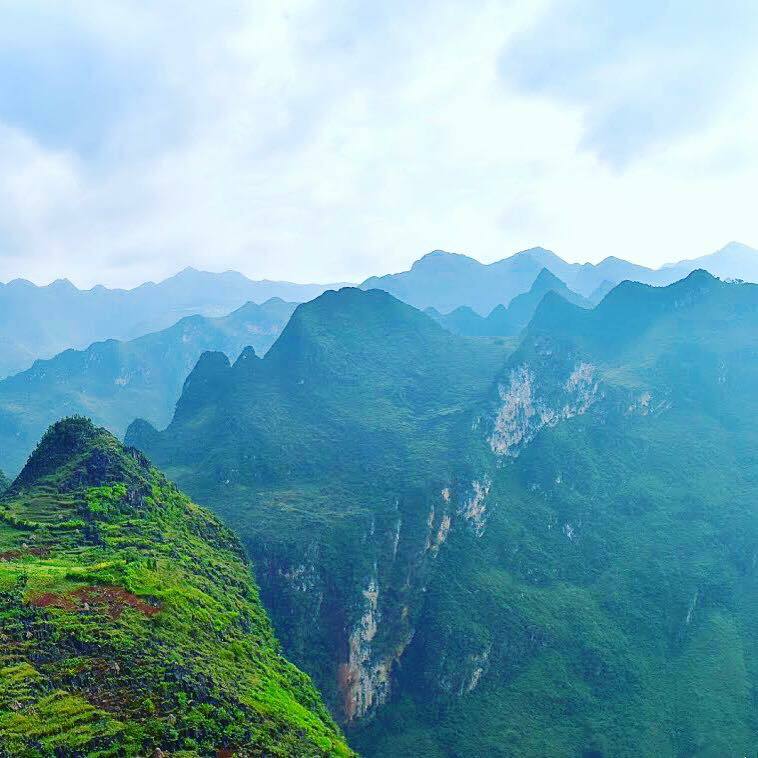 After crossing a treeless plateau, Heaven’s Gate Pass drops down into Quan Ba District and the town of Tam Son, nestled in a valley between dozens of limestone ‘molehills’. Stop for a lunch before continuing on the road. Afternoon: After lunch, continue on Road QL4C east down to the Mien River valley. At the end of a series of severe switchbacks, the road crosses the Mien River, following its course north through a steep canyon. Another long pass climbs up through a pretty, cultivated landscape close to the Chinese border, before cresting at a cool pine forest. Descending the other side into Yen Minh District, you’ll see the limestone forests of the Dong Van Plateau in the distance, looking like the crenulated ramparts of a giant castle. Morning: Have a soft breakfast before packing to continue with an 70km from Yen Minh to Meo Vac, which is perhaps the most remarkable stretch of road in the country. From here, you will go clockwise on the loop, towards Dong Van. A steep pass takes you immediately into the limestone karsts. Trees are noticeably absent from the rocky slopes. 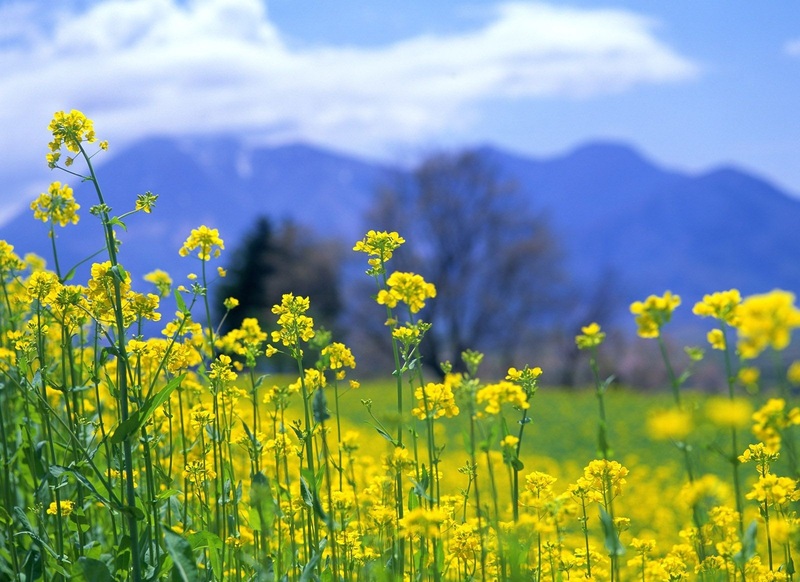 Instead, you’ll see acres of soy bean plantations, punctuated occasionally by clumps of sweet corn and stands of bamboo. After cutting along steep, treeless valleys, the road winds up to what has become known as the ‘Nine-Turn Pass‘. A helter-skelter stretch of tarmac, this pass is a favourite photo-opportunity for any road-tripper. From the top, you can see the road snaking down to a ‑at valley encased by limestone karsts. After more glorious scenery, there’s another fork in the road at Sa Phin. In a dramatic valley, just after the fork, there’s a small settlement clustered around a large stone building. This is the former palace of the H’mong king. Well worth a visit, this attractive stone and timber structure was built by the colonial French to keep the H’mong king happy. The last 15km to Dong Van is an extraordinary ride through limestone pylons, each one casting a sinister shadow over the deep valley. The road is chiseled out of the mountains, gripping to the side of rocky clis. Sometimes there are no barriers; it feels likeying.The ­nal stretch from Dong Van to Meo Vac is a 22km ride along the Ma Pi Leng Pass, a staggering road clinging to the edge of a wall of limestone mountains, towering hundreds of feet above the craterous Nho Que River valley. 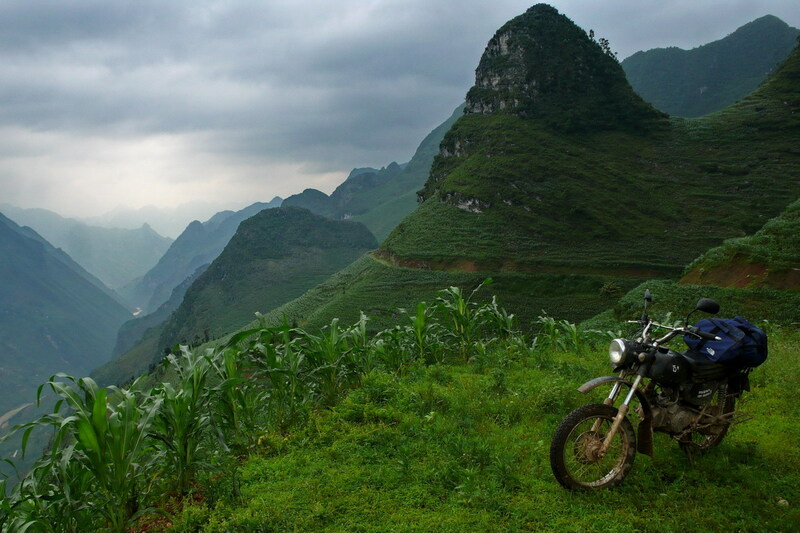 If any mountain pass in Vietnam deserves the title ‘epic’ it’s this one. After a short climb southeast out of Dong Van on Road QL4C, the ground seems to fall away, and you’re left gasping at the enormous chasm below. Evening: Dinner and overnight in Meo Vac homestay. Morning: After a breakfast, you will drive start the route back to Ha Giang on Road DT182 by heading west towards the Mau Due crossroads. This ‘lower road’ passes through a stark, rock-strewn limestone valley with some sections of mountain road, before looping back to Yen Minh after bearing right (due north) at Mau Due along a pretty river valley. 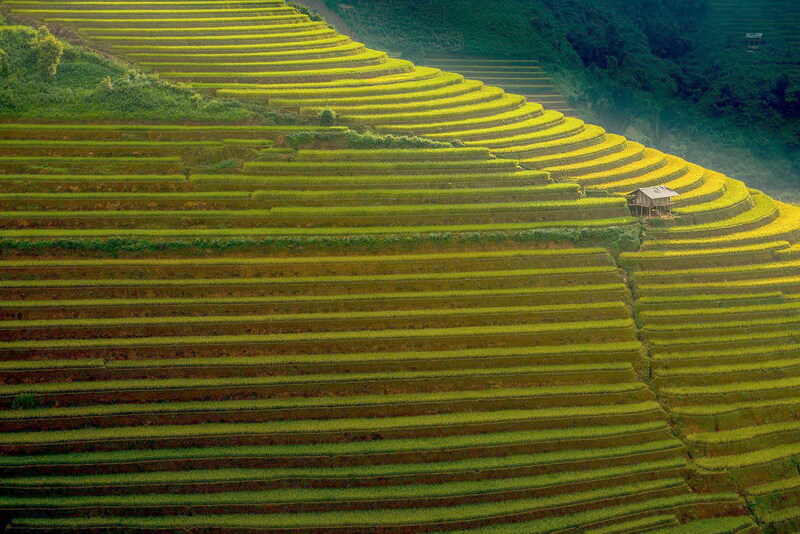 From Yen Minh simply retrace your outward route on Road QL4C back to Ha Giang. Arriving in Ha Giang, take a short break and get in the sleeping bus back to Hanoi. Note: The sleeping bus arrives in My Dinh Station at 4 a.m the following day. Our guide picksyou up and take back to your hotel in Hanoi Old Quater. In case, you choose Cat Ba as your next destination we can arrange bus. End of our service! Thank you and hope to see you again.